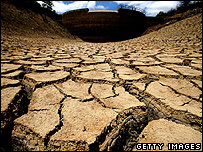 The American Geophysical Union (AGU) warned that changes to the Earth's climate system were "not natural". Changes in temperature, sea level and rainfall were best explained by the increased concentration of greenhouse gases from human activities, it added. 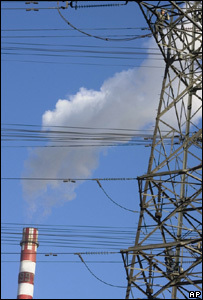 The union called for carbon emissions to be cut by more than 50% by 2100. It is the first time the AGU has updated its policy position on climate change since 2003, when it called for a concerted worldwide study to understand how the Earth would change as a result of climate change. The AGU Council, which adopted the updated position, said that a sustained research effort involving many of its members had strengthened the scientific understanding of the impacts of climate change. It warned that the world faced a tough challenge over the coming 50 years: "Even the lower limit of impending climate change - an additional global mean warming of 1.0C (1.8F) above the last decade - is far beyond the range of climate variability experienced during the past 1,000 years. "Warming greater than 2.0C (3.6F) above 19th Century levels is projected to be disruptive, reducing global agricultural productivity, causing widespread loss of biodiversity, and - if sustained over centuries - melting of much of the Greenland ice sheet." It acknowledged that, as with most projections, there was a degree of uncertainty but that it was highly unlikely that the impacts would be "inconsequential". "This is a fast-moving field of science and the AGU felt it was time to update the statement," AGU president, Tim Killeen, told BBC News. "We took seven months to do it; we brought together a panel of experts, who created drafts which underwent extensive critical review, and it was formally approved by the elected Council in December." Although the statement is consistent with previous positions adopted by the AGU, Professor Killeen said it differed in a number of ways. "There are fewer caveats that might have appeared in previous statements," he explained. "It is more of a declarative statement that the climate is changing and those changes are best explained by human effects due to greenhouse gases and aerosols." "Secondly, rather than the AGU saying that this is important and should be looked at, I think this is a call that we need to do something about it." In 2007, the Intergovernmental Panel on Climate Change (IPCC) published its Fourth Assessment Report, which said changes to the climate were "very likely" the result of human activity. The IPCC also warned that the cost of acting now to reduce emissions would be far less than having to adapt to the future consequences of climate change.